Phuket Shopping is loads of fun! If you love shopping, you will love Phuket... but be warned. Shopping in Phuket is chaotic, hot and humid and you will need an extra bag for your return flight home. Phuket is a diverse shopping destination, and you don't have to travel to far to find a bargain. First time visitors to Phuket, especially in Patong are often overwhelmed with the many stalls, shops and markets. 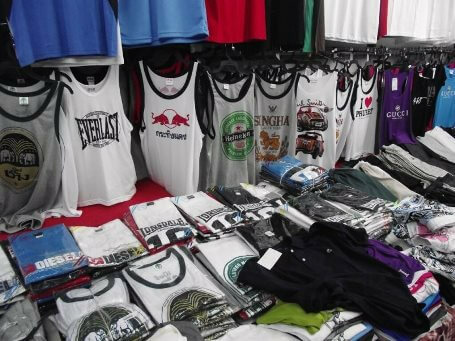 Don't worry there are loads of goods to buy other then just cheap handbags, billabong shorts, singlets and T- Shirts. 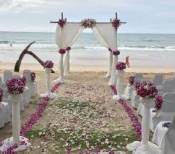 We find the best bargains are away from main tourist areas in Phuket. To find these bargains you are best to make your way in and around Phuket Town, especially around the Old area of Phuket Town. Here you will find an interesting array of shops with traditional Thai Crafts, Asian decor and textiles. Some of the best shopping bargains in Phuket include clothing, textiles, handicrafts, ceramics, gold, silver, pearls, Thai silks, art, Asian décor and Thai souvenirs. If you want to experience Thai shopping, and shop like the locals, make your way to one of the markets and enjoy the experience. Markets can be found everywhere, selling a variety of fresh food, clothes, CDs, sunglasses, shoes and much more. Phuket boasts many department stores, such as Jungceylon, Robinsons and Central Festival which are fully stocked with a fantastic range of goods. You will also notice many shopping centre's, shopping mall's, Family Marts, 7 Eleven's and you will be amazed at what you can buy. 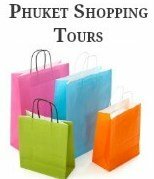 The easiest and most convenient way to go shopping in Phuket is to go on a guided shopping tour. These tours are excellent and take the worry out of where to go and how much to pay and you will find they will take you to discount shopping outlets that you just would not find on your own. Before you take on the adventure of shopping in Phuket print off a copy of the handy to use currency exchange cheat sheet. When shopping in Phuket, the prices in the department stores such as Jungceylon, Robinsons or Central Festival, or in shopping malls and shopping centres like Big C, Tesco Lotus and the 7 Eleven's are fixed price's and you won't be able to barter. Whereas at the markets, small stores, shops or street vendors around Phuket, bartering is expected. Depending on the vendor expect to pay up to 40% less than the original price. So brush up on your bartering skills...and get ready for interesting and lots of fun Phuket Shopping. Who loves shopping? We do. Would you like to pass on and share your shopping experience and bargains that you found in Phuket. Was it a dress, T shirt, sunglasses, a tailor made suit or designer clothes? Tell us where you found them, was it in the markets or the department stores. Take a great photo and let us know how much you paid, just to make us jealous.